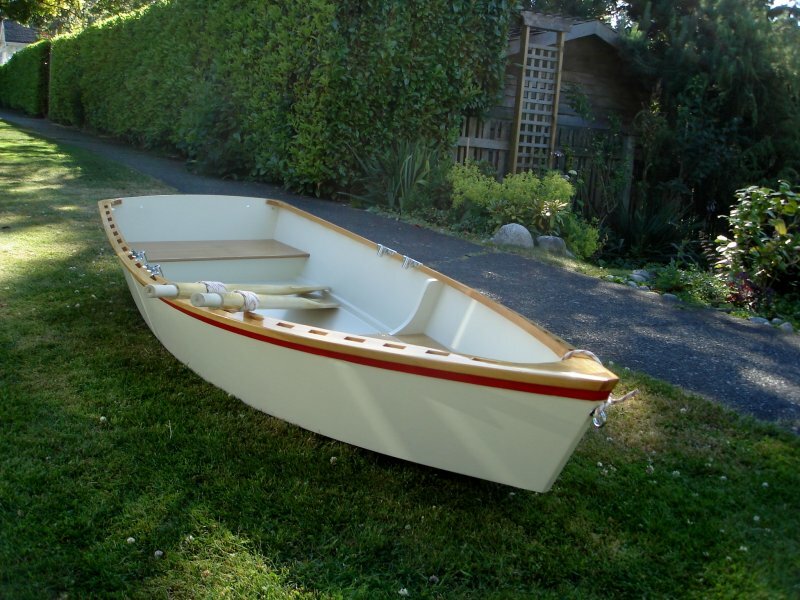 Michel Roy and his sons built LOON together as a first boat building project. 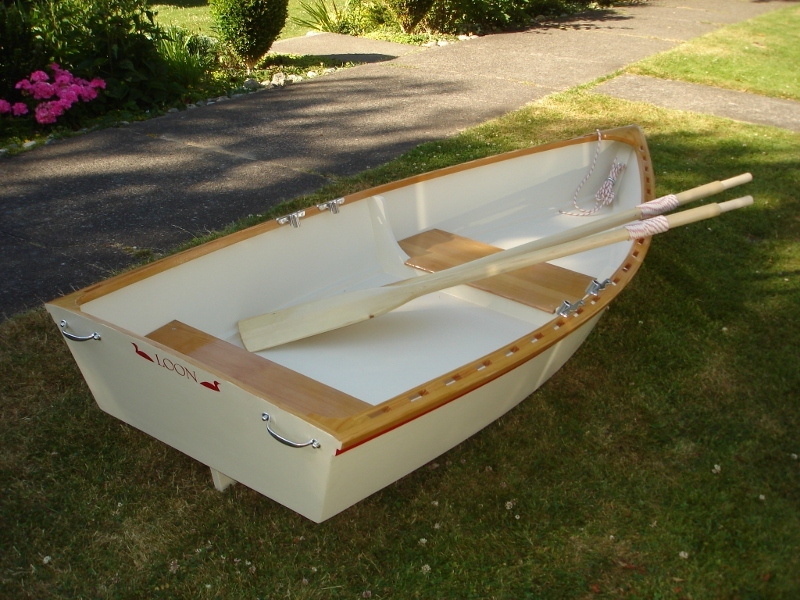 LOON is a Herb McLeod One-Sheet-Skiff (OSS) which we modified with inside chine logs. The hull is fir marine ply, and the bright bits were gotten out of various bits of vertical grain douglas fir. 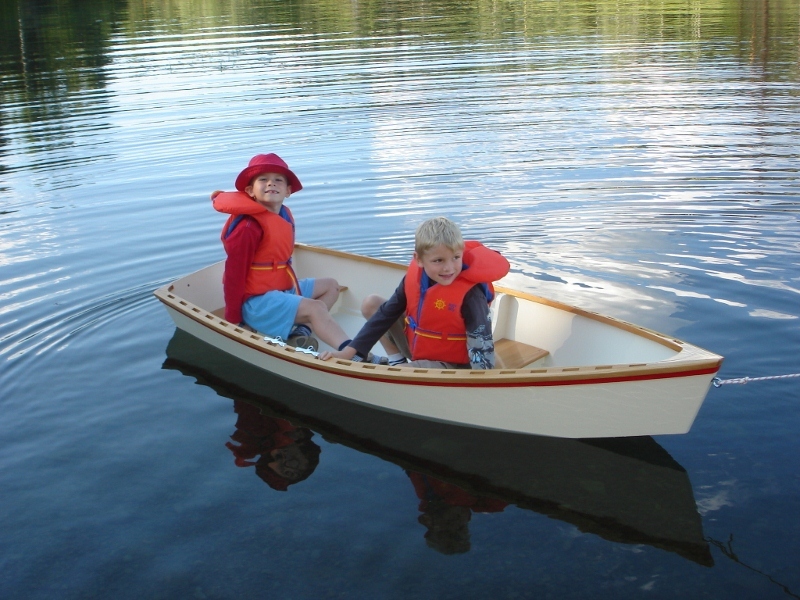 Foam flotation under the thwarts keeps her afloat, and we made the oars from a construction-grade spruce 2x6. The chines are taped with polyester and a coat of latex house paint gives her hull colour.